We observed very clearly the divine Vishav Roop (Form) of The Almighty God, "GOD" during standing meditation in internal divine universe after taking morning bath at 8-40 am, on 23-6-2014 which is showing with the help of a image giving below. 1. When I see with open eyes then I find myself in physical body. 2. 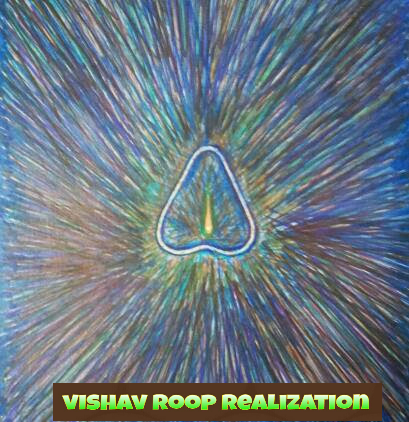 When I observed being an introvert in internal divine universe then we enjoy in very speedily motion like a BLACK HOLE with this divine image of Vishav Roop (A wonderful Divine Body) of The Almighty God.